I met her on the bus from Riga to Vilnius; we were each sitting in one of the two very comfortable leather chairs that make up the last row. There is no train connection between the two capitals, but this luxury coach trip was just as good, and not expensive at all. Before getting down to work –earphones on, hammering away at our laptops – we talked for a while. I found out that Karoli, only 31, is a serial entrepreneur who, having started her first company at 16, was twice nominated to be Europe’s Young Entrepreneur of the Year. I don’t think I could have found a better candidate for Youropeans’ entrepreneur in Estonia. So two months later we meet again, in a hip Tallinn tearoom, on the top floor of a brand new shopping mall, right across from the city’s National Opera House. She is not alone this time: her one and a half year old daughter is with us. She is playing with a phone – a tech toy! – with a broken screen. ‘It has been dropped from the third and the fourth floor. I can still call with it – hats off to Apple.’ It would also be dropped a few times during our conversation . 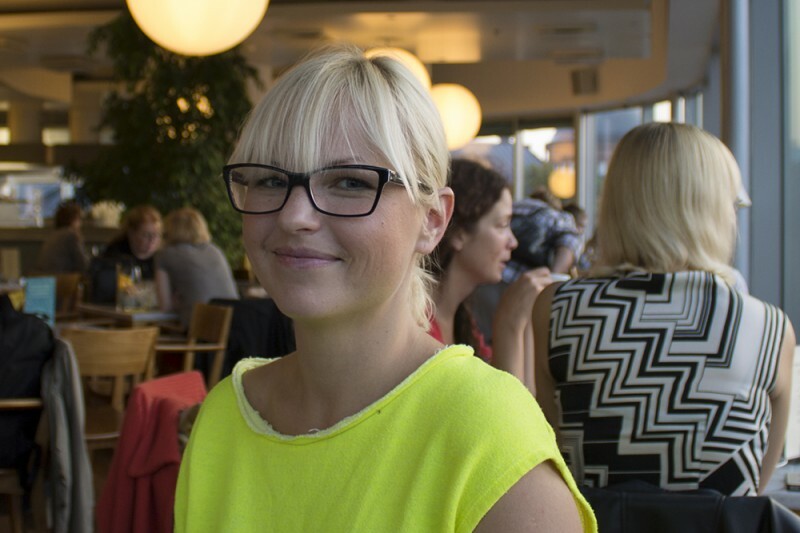 What is it like to an entrepreneur in Estonia? I thought it was Finnish? What type of people are you? Are you nervous about the Russians at this moment? How do the Russian Estonians relate to that? Is that also why Estonia seems happy with the EU? I haven’t managed to interview a Russian. But they go to school, right? What should the European dream look like, for an entrepreneur? And off she goes, work to be done, a company to start, maybe resulting in another nomination for Europe’s Young Entrepeneur of the Year.